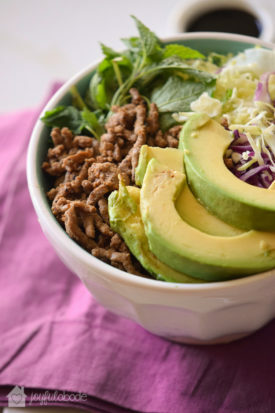 This paleo beef and cabbage bowl recipe is perfect for an easy weeknight dinner. It doesn’t take long to make, and you can customize bowls for everyone! Need a great party salsa besides the typical tomato type? 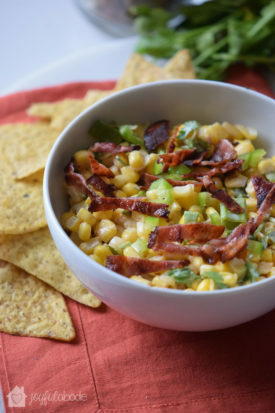 This corn jalapeno bacon salsa/dip is just the thing! Just a few minutes and a few ingredients, and you’re on your way to Yum-Town. 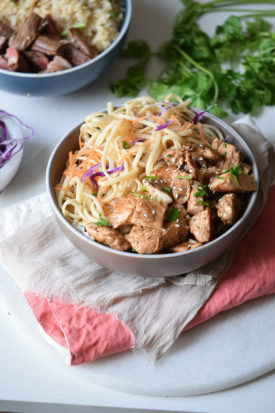 Make this super-simple chicken teriyaki bowl recipe! It’s so quick, and doesn’t have a million ingredients. Perfect for those nights when you need something delicious, like 10 minutes ago. These delicious little pancake-muffin bites are so fluffy and airy, everyone will love them at your next brunch. 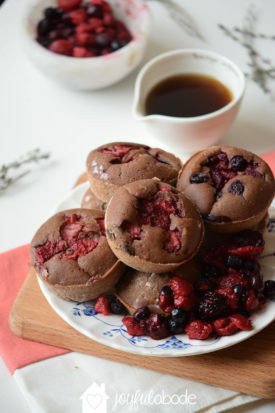 Cocoa berry almond muffins – paleo, too. Do you want to get healthier? I know you’ve heard green smoothies are the way to go for getting nutrition-packed veggies into your daily diet. 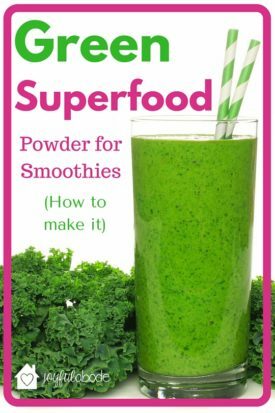 I’ll share my favorite shortcut with you – making homemade green superfood powder for your green smoothies! 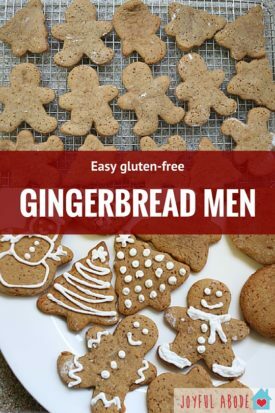 These paleo gingerbread men were roll-out-able and deliciously soft, whether warm or cool. They had all of the gingerbread flavors we loved, and no gums or complicated ingredients. 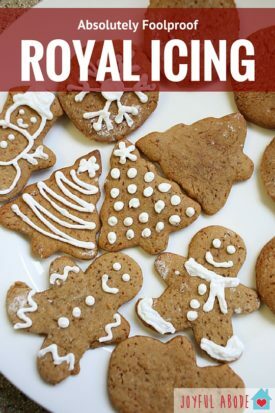 This royal icing recipe is foolproof! If you want plain, you can leave it as is, or add a little bit of vanilla extract. When we get home we are cold, tired, and hungry. So I start work on my soup. 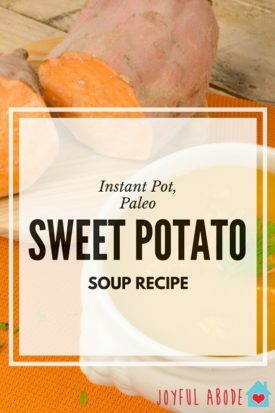 Here is my recipe for Sweet Potato Soup that has been a success every time. 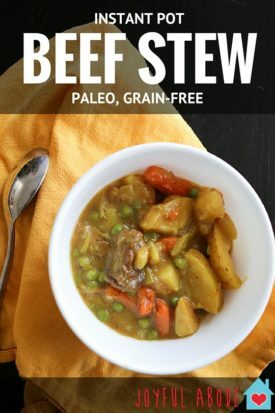 This instant pot beef stew recipe is thick and warming, full of veggies, and fall-apart tender grass-fed beef With just a little kick of heat to keep things interesting. Here is the step-by-step copycat recipe for Cheddar Bay Biscuits from Red Lobster. It’s easy and so delicious. It’s the one you’ve been looking for. If you’re thinking about buying cheese crisps to snack on, don’t. It’s so easy to make your own! No mess, and it only takes a few minutes. These are GREAT! 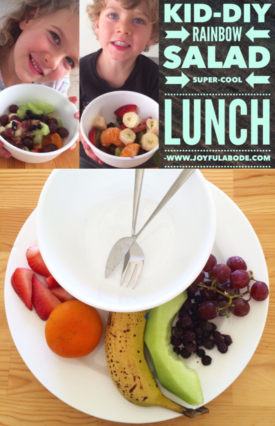 This preschooler-DIY rainbow fruit salad is inspired by Alex and Leah’s “Rainbow Salad” on Signing Time. Make it a Montessori lesson at home!